Background/aim: In the present study, the protective effect of erdosteine against cyclosporine-induced injury in rat liver was investigated with histological and biochemical methods. Materials and methods: Thirty-two Wistar albino male rats were randomly divided into 4 groups: control (n = 8), cyclosporine (n = 8, 20 mg kg-1 day-1 i.p. ), cyclosporine + erdosteine (n = 8, erdosteine 12 mg kg-1 day-1 orally), and erdosteine (n = 8). At the end of day 12, liver tissues were removed for histological and biochemical analysis. After liver tissues were fixed in 10% buffered neutral formalin, routine histological processes were applied and tissue sections were stained with hematoxylin and eosin, periodic acid-Schiff, and elastic fiber stain methods. One hundred lobules of liver were examined for each group and evaluated statistically. The levels of malondialdehyde and glutathione peroxidase, as well as the activities of superoxide dismutase, were determined. Results: The cyclosporine group showed significant histopathological changes compared to the control. In the cyclosporine + erdosteine group, histopathological changes of hepatic damage were markedly reduced. Histological findings were supported by biochemical results. Conclusion: Erdosteine could attenuate cyclosporine-induced liver injury. Grub S, Pershon E, Trommer WE, Wolf A. Mechanism of cyclosporine A-induced apoptosis in rat hepatocyte primary cultures. Toxicol Appl Pharm 2000; 163: 209–220. Ponticelli C. Cyclosporine: from renal transplantation to autoimmune diseases. Ann NY Acad Sci 2005; 1051: 551–558. 3. Borel JF, Feurer C, Magnée C, Stähelin H. Effect of the new-anti- lymphocytic peptide cyclosporin A in animals. Immunology 1977; 32: 1017–1025. Wartburg A, Traber R. Chemistry of the natural cyclosporin metabolites. Prog Allergy 1986; 38: 28–45. Van Buren CT. Cyclosporine: progress, problems and perspectives. Surg Clin N Am 1986; 66: 435–449. Calne RY, White DJ, Thiru S, Evans DB, McMaster P, Dunn DC, Graddock GN, Pentlow BD, Rolles K. Cyclosporin A in patients receiving renal allografts from cadaver donors. Lancet 1978; 2: 1323–1327. Bennett WM, Porter GA. Cyclosporine-associated hypertension. Am J Med 1988; 85: 131–133. Diepering H, Frandsen NE, Kemp E. Cyclosporin A: bright prospects for organ transplantation? Ugeskr Laeger 1983; 145: 2749–2752. Rezzani R, Rodella L, Bianchi R. Melatonin antagonises the cyclosporine A immunosuppressive effects in rat thymuses. Int Immunopharmacol 2001; 1: 1615–1619. Rezzani R. Exploring cyclosporine A-side effects and the protective role-played by antioxidants: the morphological and immunohistochemical studies. Histol Histopathol 2006; 21: 301–316. Kurus M, Esrefoglu M, Karabulut AB, Sogutlu B, Kaya M, Otlu A. Oral L-arginine protects against cyclosporine-induced hepatotoxicity in rats. Exp Toxicol Pathol 2008; 60: 411–419. Dechant K, Noble S. Erdosteine. Drugs 1996; 52: 875–881. Braga P, Dal Sasso M, Zuccotti T. Assessment of the antioxidant activity of the SH metabolite I of erdosteine on human neutrophil oxidative bursts. Arzneimittelforschung 2000; 50: 739–746. Koc A, Duru M, Ciralik H, Akcan R, Sogut S. Protective agent, erdosteine, against cisplatin-induced hepatic oxidant injury in rats. Mol Cell Biochem 2005; 278: 79–84. Yagmurca M, Bas O, Mollaoglu H, Sahin O, Nacar A, Karaman O, Songur A. Protective effects of erdosteine on doxorubicin- induced hepatotoxicity in rats. Arch Med Res 2007; 38: 380– 385. Kurus M, Esrefoglu M, Sogutlu G, Atasever A. Melatonin prevents cyclosporine-induced hepatotoxicity in rats. Med Princ Pract 2009; 18: 407–410. Sun Y, Oberley LW, Li Y. A simple method for clinical assay of superoxide dismutase. Clin Chem 1988; 34: 497–500. Esterbauer H, Cheeseman KH. Determination of aldehydic lipid peroxidation products: malonaldehyde and 4-hydroxynonenal. Method Enzymol 1990; 186: 407–421. Paglia DE, Valentine WN. Studies on the quantitative and qualitative characterization of erythrocyte glutathione peroxidase. J Lab Clin Med 1967; 70: 158–169. Lowry OH, Rosebrough NJ, Farr AL, Randall RJ. Protein measurement with the Folin phenol reagent. J Biol Chem 1951; 193: 265–275. Bianchi R, Rodella L, Rezzani R. Cyclosporine A upregulates expression of matrix metalloproteinase 2 and vascular endothelial growth factor in rat heart. Int Immunopharmacol 2003; 3: 427–433. De Mattos AM, Olyaei AJ, Bennett WM. Nephrotoxicity of immunosuppressive drugs: long-term consequences and challenges for the future. Am J Kidney Dis 2000; 35: 333–346. Rezzani R, Rodella R, Dessy C, Daneau G, Bianchi R, Feron O. Changes in Hsp90 expression determine the effects of cyclosporine A on the NO pathway in rat myocardium. FEBS Lett 2003; 552: 125–129. Zhong Z, Li X, Yamashina S, Frankenberg M, Enomoto N, Ikejima K, Kolinsky M, Raleigh JA, Thurman RG. Cyclosporin A causes a hypermetabolic state and hypoxia in the liver: prevention by dietary glycine. J Pharmacol Exp Ther 2001; 299: 858–865. Rezzani R. Cyclosporine A and adverse effects on organs: histochemical studies. Prog Histochem Cytochem 2004; 39: 85–128. Wolf A, Trendelenburg CF, Diez-Fernandez C, Prieto P, Houy S, Trommer WE, Cordier A. Cyclosporin A-induced oxidative stress in rat hepatocytes. J Pharmacol Exp Ther 1997; 280: 1328–1334. Durak I, Ozbek H, Elgün S. Cyclosporine reduces hepatic antioxidant capacity: protective roles of antioxidants. Int Immunopharmacol 2004; 4: 469–473. Yagi K. Lipid Peroxides in Biology and Medicine. New York, NY, USA: Academic Press; 1980. Lee JY, Kim HS, Park CS, Kim MC. Erdosteine in renal ischemia- reperfusion injury: an experimental study in pigs. J Vet Med Sci 2010; 72: 127–130. Hagar HH. The protective effect of taurine against cyclosporine A-induced oxidative stress and hepatotoxicity in rats. Toxicol Lett 2004; 15: 335–343. Canoruç N, Çicek R, Atamer A, Dursun M, Turgut C, Güneli E, Canoruç F. Protective effects of vitamin E selenium and allopurinol against stress-induced ulcer formation in rats. Turk J Med Sci 2001; 31: 199–203. Rezzani R, Buffoli B, Rodella L, Stacchiotti A, Bianchi R. Protective role of melatonin in cyclosporine A-induced oxidative stress in rat liver. Int Immunopharmacology 2005; 5: 1397–1405. Kaya H, Koc A, Sogut S, Duru M, Yilmaz HR, Uz E, Durgut R. The protective effect of N-acetylcysteine against cyclosporine A-induced hepatotoxicity in rats. J Appl Toxicol 2008; 28: 15– 20. Josephine A, Nithya K, Amudha G, Veena CK, Preetha SP, Varalakshmi P. Role of sulphated polysaccharides from Sargassum Wightii in cyclosporine A-induced oxidative liver injury in rats. BMC Pharmacol 2008; 8: 1–9. Sahin M, Cam H, Olgar S, Tunc SE, Arslan C, Uz E, Yilmaz HR. Protective role of erdosteine on vancomycin-induced oxidative stress in rat liver. Mol Cell Biochem 2006; 291: 155–160. Kuvandik G, Duru M, Nacar A, Yonden Z, Helvaci R, Koc A, Kozlu T, Kaya H, Sogüt S. Effects of erdosteine on acetaminophen-induced hepatotoxicity in rats. Toxicol Pathol 2008; 36: 714–719. Eraslan E, Ekiz F, Uz B, Koca C, Turkcu UO. Effects of erdosteine on cyclosporine A-induced hepatotoxicity in rats. Drug Chem Toxicol 2010; 34: 32–37. Andrés D, Sanz N, Zaragoza A, Alvarez A, Cascales M. Changes in antioxidant defense systems induced by cyclosporine A in cultures of hepatocytes from 2- and 12-month-old rats. Biochem Pharmacol 2000; 59: 1091–1100. Durak I, Kaçmaz M, Cimen MY, Buyukkoçak S, Elgün S, Oztürk HS. The effects of cyclosporine on antioxidant enzyme activities and malondialdehyde levels in rabbit hepatic tissues. Transpl Immunol 2002; 10: 255–258. ISNAD NACAR, AHMET , KARABOĞA, İHSAN , OKUYAN, HAMZA MALİK , SEFİL, NEBİHAT KAPLAN , NACAR, EMEL , MOTOR, SEDAT , AKKÜÇÜK, SEÇKİN , ÖZKAN, ORHAN VELİ . "Investigation of the protective effect of erdosteine against cyclosporine-inducedinjury in rat liver with histological and biochemical methods". 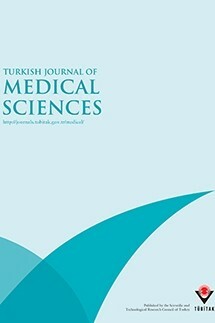 Turkish Journal of Medical Sciences 45 / 6 (December 2015): 1390-1395.